Co-de-iT is pleased to announce to be a member of the “digifabTURINg” team. It is a research cluster, made by different persons with different skills and backgrounds, focused about digital fabrication + robotic automation and material research applied in the field of architecture, interaction design, art and more; all together we are exploring new robotics scenarios and application possibilities. The digifabTURINg cluster is conceived to promote and develop robotics explorations and trigger, through a process of mutual contamination, collaborations with other fields of applications and research. 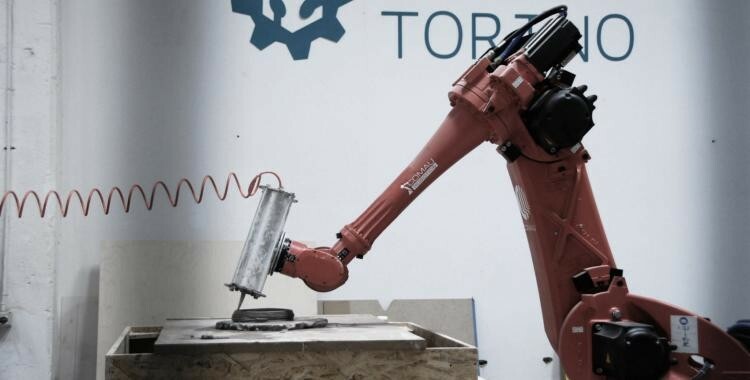 The cluster is already developing some international collaborations inherent to shortening the usual distance between six axis robots and designers, opensourcing tools and methods to use it. digifabTURINg is also a open-source environment, open to collab with everyone has new ideas and research proposal about digital fabrication and robotics crossover uses and abuses. ← Co-de-iT Tissue add-on for Blender released !